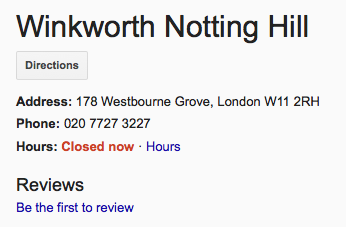 One Google review (or none at all). What's to be concerned about? Let us take you on a journey. 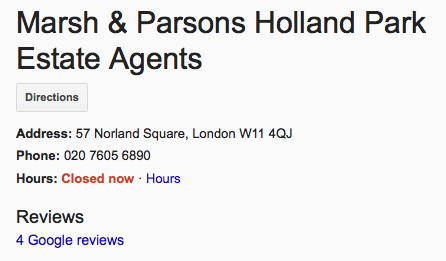 Note: To illustrate this article we have used actual screenshots of real estate agents' Google listings, this means that each stage (1, 2, 3 reviews etc.) is shown using a different agent or branch. Does it matter? Not a lot - very few people bother to click through to read it. Most do not even notice the link (even though it appears three times in every search). 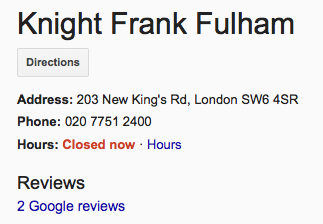 Perhaps they are both 5* reviews, perhaps not. Still they are not that obvious. Prospective clients still need to click to read them, and who is going to take any notice of just two opinions anyway? Everyone loves us (or perhaps they hate us), but who is to know? Again, only the few who notice and bother. Surely we ought to begin to pay attention. What happens when we get five? Overnight, lit up in stars, demanding attention. And it is shown three times for every search. 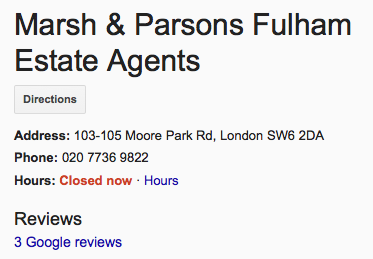 The stars say: 'Look at us, we represent a great business' or they say 'Maybe pass on by'. First you have to accept that reviews matter. That your prospective clients will read them, and they will be influenced by them. Why every client? 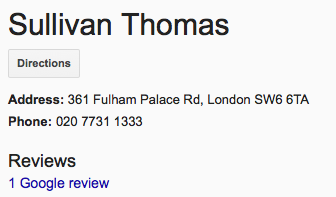 That's simple: each not-so-delighted client you don't invite is a potential one star review direct to Google. And every single one star review has, on its own, the potential to significantly damage your business. What mechanism? We would say Dialogue, wouldn't we? Because Dialogue achieves all of the above, simply and efficiently, and shows the reviews on your own website as well (with complete credibility), which is why we don't hesitate. Why do business with a HelpHound member?